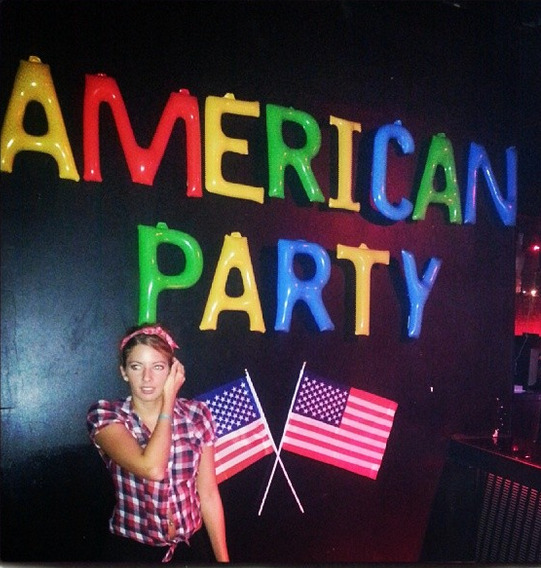 If there's one thing Americans love to do, it's throw a theme party. From toga to black light to bring your own potato dish, if it can be turned into a reason for a celebration, chances are it will. Overseas, people are drawing on inspiration from America's partying ways to throw bashes of their own. The Instagram photos from these get-togethers give us an interesting glimpse into how we might be portrayed overseas. There is one constant in every American-themed party, and that is red plastic cups. Of course, country singer Toby Keith infamously released the uber-catchy "Red Solo Cup," but the plastic cylinders were popular at parties long before then. It might be because the cups can conspicuously conceal any liquid from the casual observer. The cups are also cost-effective and can hold a decent amount of liquid. Regardless, the perception exists that Americans love to employ red cups partying, whether it be for drinking, pyramid-building, or playing a game of flip cup. Another common thread in these parties held overseas is the food spread. A lot of popcorn is served at American-themed socials. In addition, marshmallows, cupcakes, and sloppy joes all make the menu for these bashes. Finally, overseas revelers slightly alter their wardrobes before appearing at the party. Shirts with logos and phrases printed on them are popular. Some even bust out their favorite baseball hat or basketball jersey. I guess if you're feeling extra American, you dress up as Marge Simpson. Red cups, popcorn, the Simpsons. … I suppose we could be known for worse.